Home / Movies / Jason Clarke, at the Top of His Game in "Everest"
Australian actor Jason Clarke, best known for his leading roles in “Terminator Genisys,” “Dawn of the Planet of the Apes” and the award-winning “Zero Dark Thirty,” returns to the screen in Universal Pictures' new epic, action-adventure “Everest.” Clarke plays real-life New Zealander Rob Hall, an incredibly well-regarded climber who discovered mountaineering while he was growing up near the Southern Alps on the South Island. In 1980, he reached his first Himalayan summit, the 6,856-meter Ama Dablam in Sola Khumbu, at the age of 19. In 1990, he summited Everest with his climbing partner, Gary Ball, and Sir Edmund Hillary’s son, Peter; the group gained national attention when they made a satellite-linked phone call from the peak—one that was broadcast live on New Zealand television. Hall and Ball immediately put their entrepreneurial skills into raising sponsorship funds for a global tour to complete the “Seven Summits” challenge—scaling the highest peaks on each continent. They upped the ante by attempting the challenge within seven months. The pair succeeded with just hours to spare and became household names in New Zealand. They invested the profits from their adventures into setting up an international mountain-guiding business, Adventure Consultants, in 1992. While to many amateur mountaineers the whole concept of marketable adventure was abhorrent, Hall believed the mountains were for everyone and if clients wanted to pay for expert leadership, he would provide it. Adventure Consultants quickly became a premier expedition-guiding company. Ball died of cerebral edema, a form of high altitude sickness, high on a mountain in Nepal in 1993, leaving Hall to run Adventure Consultants on his own. By 1996, Hall had successfully guided 39 climbers up to the top of Everest. Although the price of a guided summit attempt, tens of thousands of USD, was considerably more expensive than those offered by other expeditions, Hall’s reputation for reliability and safety attracted clients from all over the world. But as they talked, their relationship developed, and Clarke began to see how to face the challenge ahead of him. “It was the beginning of me trying to work out how I could play this guy and understanding my level of responsibility in terms of doing justice to it. It had become a much more personal thing to make sure that I understood these events, because it’s one of the great mysteries of Everest. Anybody who climbs anywhere in the world knows about it and has theories and opinions on what happened and why it happened,” he concludes. Opening across the Philippines on Sept. 16, 2015, “Everest” is distributed by United International Pictures through Columbia Pictures. 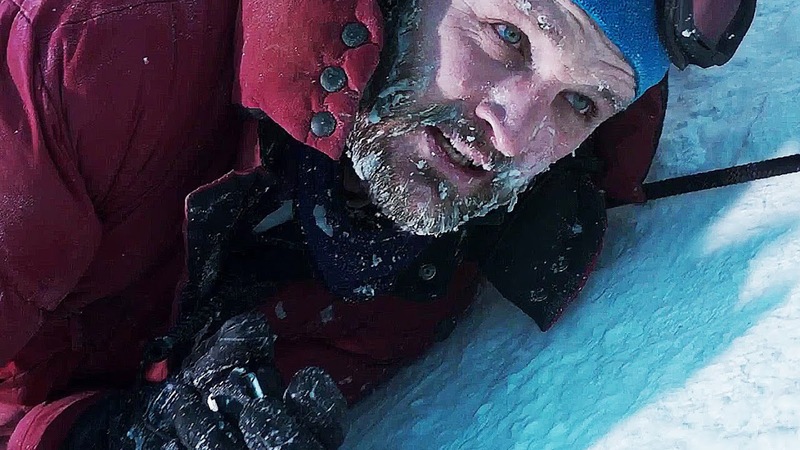 Experience “Everest” in IMAX 3D and on premium large-format 3D screens, as well as in standard 2D and 3D.